When it comes to exfoliation, sometimes I can be a slacker. While I preach the benefits of a weekly face mask and twice-weekly exfoliation, sometimes life just gets hectic and it’s a miracle when you can even remove your makeup before passing out. So, if you need a little streamlining in your beauty routine (say, a mask + exfoliation duo? ), look no further than HANA Organic Skincare’s Lavender Grains. The dry mixture, made from white clay, oats, almonds and essential oils, just needs a bit of water to become a thickish paste that’s ready to calm and gently exfoliate your skin. I’d recommend HANA Organic Skincare’s Lavender Grains to anyone with overly sensitive skin that would benefit from a super-gently exfoliator. The natural scrubbers in this mixture are extremely gentle and spread-apart in the scrubbing process (does that make sense? ), so you don’t get this intense, dense, sandpaper feeling like you can with other scrubs. After oil cleansing and washing with a gel or foaming cleanser (my preference! ), use HANA Organic Skincare’s Lavender Grains to exfoliate, moving the neutral-scented mixture around in small circles. Then, allow it to dry for about 10 minutes for a mild, mineral-rich mask that gently refines the pores without stripping your skin. 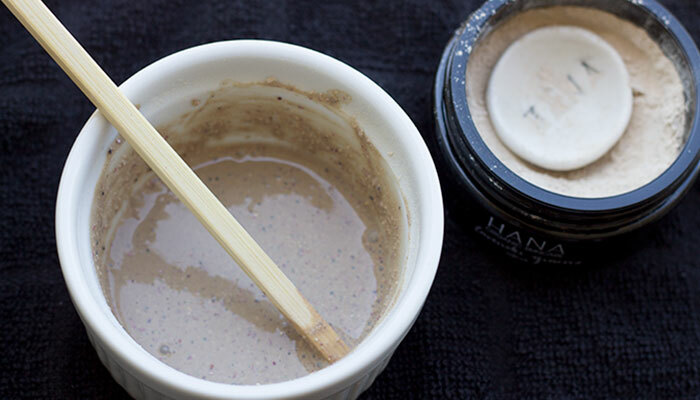 White clay is one of the mildest clays available, which makes HANA Organic Skincare’s Lavender Grains an easy product to use several times a week; it’s not going to dry you out or irritate your skin the way more powerful clay-based masks and scrubs can. With that said, this is easily my favorite product from the HANA Organic Skincare line (did you catch my previous review of the Gentle Cleanser?). It’s fun to use, affordable, smells just fine and offers an easy way to pare down your beauty products (though, who am I kidding, I love masks and exfoliants). I also like the way it softens my skin during the scrub stage and soothes my skin during the mask stage — which is what really matters! Bonus: HANA Organic Skincare Lavender Grains is available in a trial size. Can more green beauty companies offer this option, please? 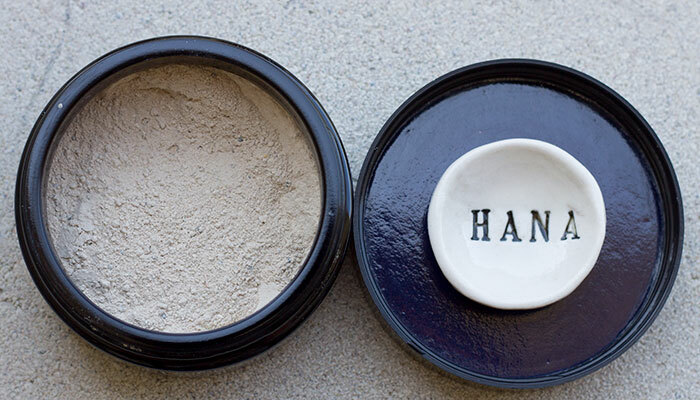 Have you tried anything from HANA Organic Skincare? Would you be into an exfoliator / mask combo? Tell me in the comments section!